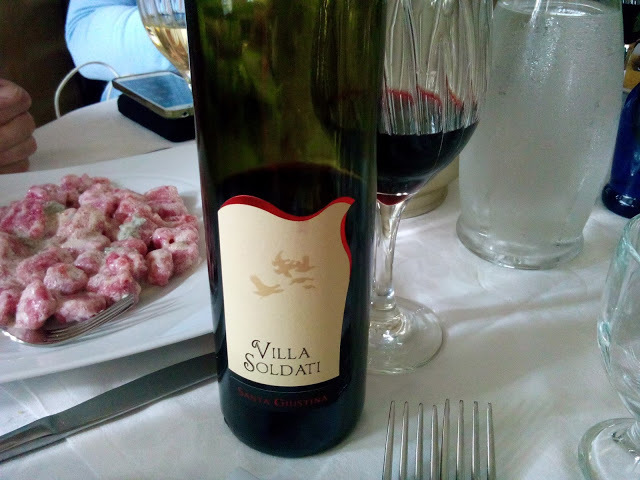 While spending few days in Val Tidone [Lombardia, Italy] and sleeping at Podere Casale, we had great time sightseeing historical places but we also enjoyed very much food and wine. Regarding wine, then, we had the opportunity of visiting some producers and discover the local wines: we were aware of some of them, but few others were unknown. After our arrival at Podere Casale, we set in the rooms and after a brief introduction to the buildings, we make the acquaintance of the winery. We start from the vineyard and at the right angle of the pool we can admire a beautiful landscape, made of well-ordered rows, colors that fade from green to yellow, plots sloping down to the valley. 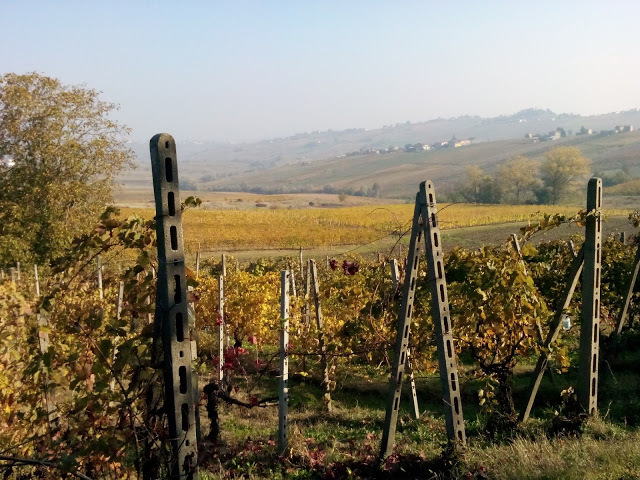 While walking between the rows, Nicolas, the owner, tells us that Ziano Piacentino is one of the vineyards of Italian municipalities that cultivates a big grape varieties such as Barbera, Bonarda, Croatina, Malvasia and Ortrugo. We then saw the wine bottled and packaged in the cellar, but above all we tasted it with a rich plate of cold cuts. 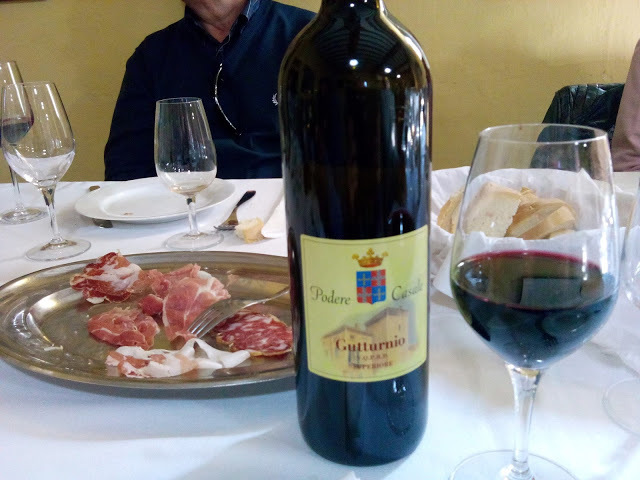 I find an amazing Gutturnio Riserva 2003, a wine that comes from a careful selection in the vineyard, a very good synergy of Barbera and Bonarda in fermentation, an accurate wood seasoning and then aged in bottle for at least two years. These are the results that reward careful winemakers. 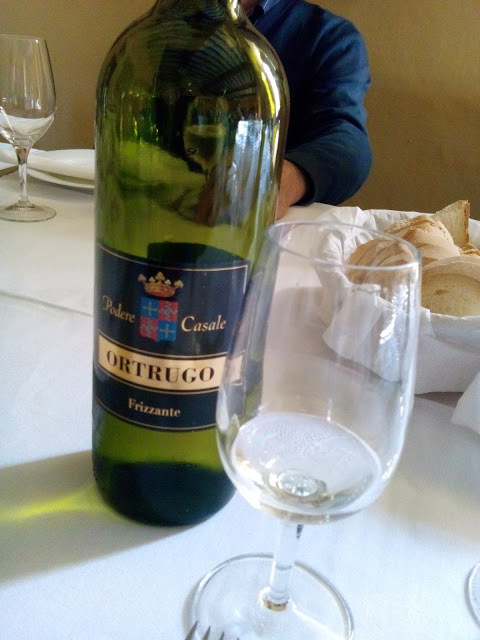 Another surprise of this winery is white Ortrugo, variety grown mainly in Val Tidone whose characteristics are essentially herbaceous notes and lively acidity. If once the production was a great deal, now mainly the producer aims at quality. 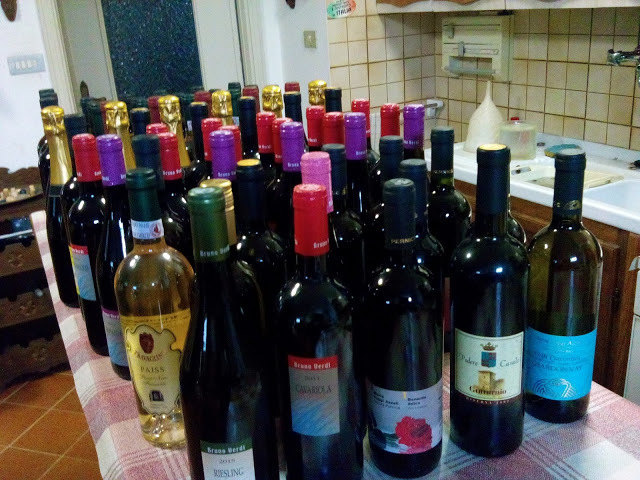 If once the customer was looking for bulk wine and came from the neighboring provinces to Piacentino area, now the bottled wine is also marketed abroad. 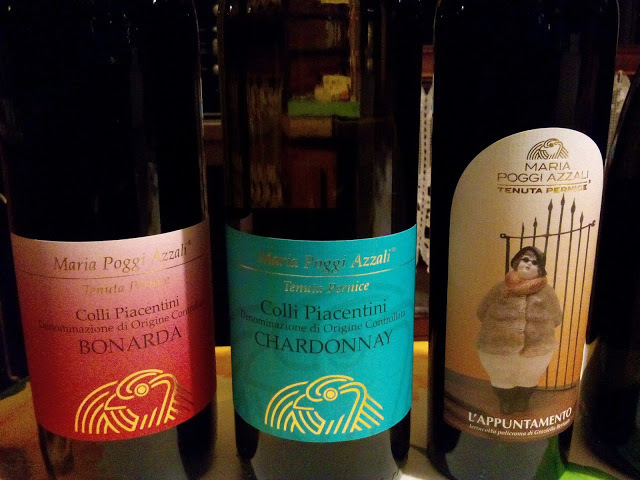 Roaming around the beautiful Val Tidone, we then visit another reality: Cantina Tenuta Pernice, located in località Pernice in Borgonovo Val Tidone, owned by Maria Poggi Azzali, who founded it in 1988. She is supported by her daughter Chiara, that in order to assist the mother in the management of the estate, gave up his teaching activities. 40 hectares of vineyards on the slopes surround the winery and the housing unit; reaching the valley area at dusk is such a beautiful scenary since you see them from above with the sun filtering through the leaves; they seem to form a golden dome. The winery is equipped with the latest processing systems: refrigerated stainless steel tanks, filtration and bottling system. The aging cellar keeps the wine in oak barrels of Slavonia and French oak barrels. Chiara explains how their working method ensures that the grapes reach the winery within two hours after harvest, then the white grapes are passed into a press for gentle crushing, the red grapes stalks are first removed, then the grape crushed and collected in large containers of steel. After the visit to the winery is now tasting time! It takes place a nice large room, tastefully decorated and heated by a roaring fire in the fireplace. On the tables, in the showcases are exhibited glasses of all kinds, the environment is inviting for tastings and for small talk and I think we greatly succeeded in both intents! We get to know the history of wine and its land from Chiara, while we taste white chardonnay; then we continue with sweet bonarda with mild carbonation, then the classical bonarda also vinified in autoclave. After those red wines, we go on tasting the bubbles of a great sparkling chardonnay produced with Charmat method and we end with a delicious Malvasia di Candia. Too bad that time is running out and we have to leave this nice place, not without first buying some products of the estate. As third winery we visit the “Cantina Santa Giustina” located in the village of Santa Giustina, surrounded by woods, from various crops, by lavender fields and 30 hectares of vineyards. 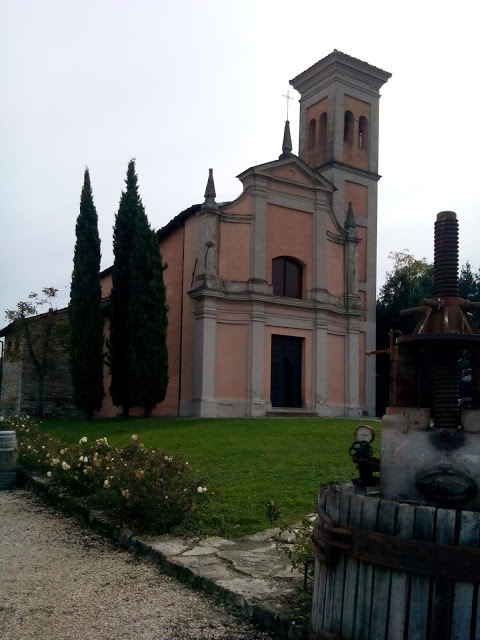 The winery was founded in 1970 in the village of Santa Giustina in fact, owned by Bucciarelli family and carried forward as well as the beautiful chapel that it includes. The buildings are part of the village and are used as B&B and as event site for exhibition, parties, weddings (that can be celebrated in the beautiful chapel). 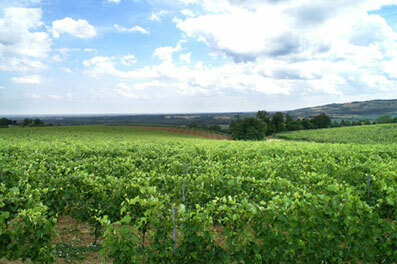 To us, however, the other part of Santa Giustina is more interesting: namely the vineyards, the winery, the wine! Ms. Gaia takes us for a walk to admire the nearby vineyards and tells us how the vine cultivation follows the rules of integrated farming, respecting time and manner of nature. The path continues to the newly built wine cellar, slightly aside from the hamlet. Latest model machinery both for the vinification as for bottled activities are “hidden” here. At lunch we are can taste two wines from the cellar: a white “Anricus” combined with cold cuts and a red “Villa Soldati” to drink with polenta and game, beetroot dumplings and cheeses of medium seasoning that enhances the tannins and light spicy aromas given by the passage in barriques. We come back home from our visits to wineries with 72 bottles of good wine from Val Tidone and whenever we will drink one of those bottles we will remember with pleasure all those producers that with care, will and pleasure produce good wine, being proud of this part of Italy that they wanted to tell us about! I've been to Whisky and Beer production units, but never a Wine production unit. I so badly wanted to check one out in France, but unfortunately couldn't. So thanks so much for this virtual tour, and esp I love Italian Wines. One in my bucketlist is to visit some vineyard, and learn how they plant the grapes, how they choose the best one until to the process of making wine. I think it is one of the best kind of tour. I love this kind of tour. I am sure you woulòd enjoy it! I'd love to visit a vineyard and then taste some wines 🙂 French and Italian wines are my favorites! I wish I had more time to explore the wine regions of Italy, namely Tuscany. Some of the best wine around! Ho avuto occasione di visitare l'Italia il tempo 2. Ma non ho mai sentito parlare di questo posto. Sicuramente la prossima volta dovrò venire qui per gustare il delizioso vino in là!